Flat, extra wide, stylish design - Food will not slip on these skewers. Suitable for lamb, beef, pork, fish, vegetables. Wooden handle stay cool, no matter how hot the fire. Skewers cannot be used in closed BBQ as wood will burn.Delicate handle is also be an artwork to show your taste ! These skewers are engineered for world class BBQ preparation. Hand wash only. The skewers are engineered to remain rigid and not bend under the weight of the meat. The flat surface design stops the meat from rotating on the skewer . Suitable for lamb, beef, pork, fish, vegetables. 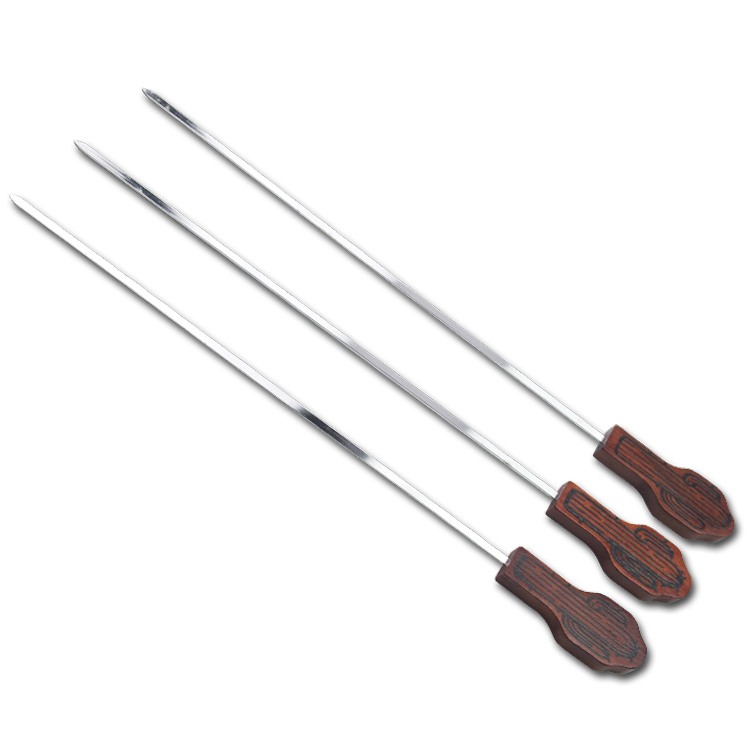 Looking for ideal Stainless Steel Sticks Needles Manufacturer & supplier ? We have a wide selection at great prices to help you get creative. 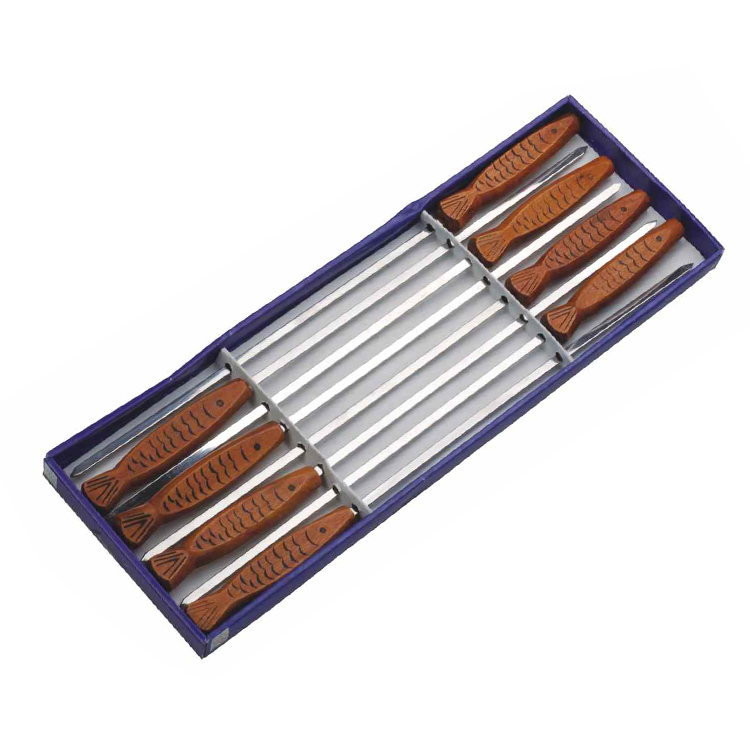 All the 8pcs Skewer Set are quality guaranteed. 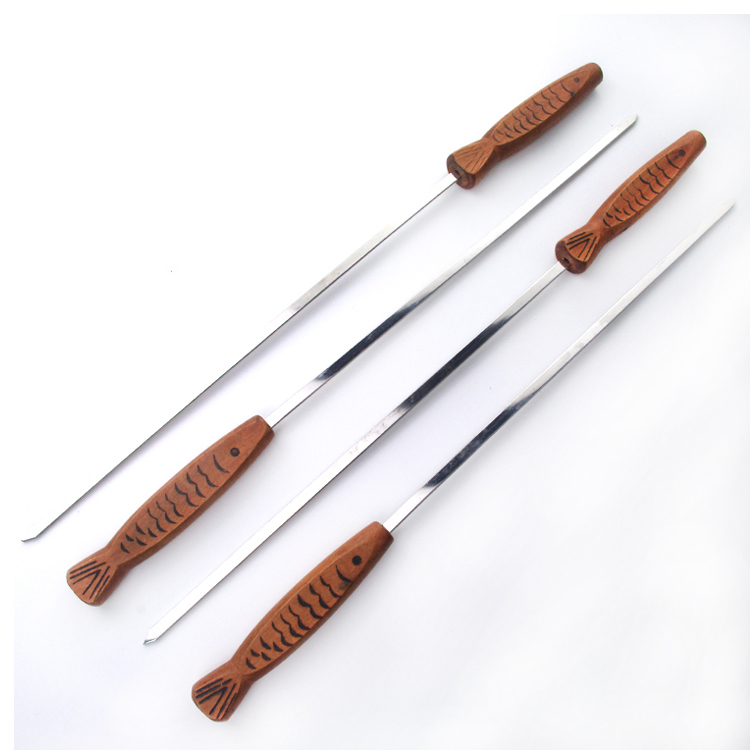 We are China Origin Factory of Artwork of Bbq Skewer. If you have any question, please feel free to contact us.